A powerful and brooding western about revenge and redemption, The Bravados boasts an impeccable central performance from Gregory Peck. Thrillingly scored and impressively shot, the film is a grim parable of a man driven to the extremes by the need for vengeance against those he holds responsible for the shattering of his world. The Bravados begins with Jim Douglas, a rancher who has been hunting a quartet of outlaws for over a period of six months, arrives in the quiet town of Rio Arriba. His journey is for revenge against the four men he believes raped and murdered his wife. The four men are due to hang the next day for other crimes they have committed. After talking with the sheriff, he is allowed to see the four criminals, who are led by the crafty Bill . He observes them but none of them seem to recall his face. The arrival of Jim coincides with the other arrival of Simms, the man charged with carrying out the hanging. Jim also meets Josefa, an old flame who has wondered about Jim since she last saw him five years ago. Later that night, whilst the townspeople are at mass, Simms who it is revealed is in league with the criminals helps them escape. The quartet quickly steal a few horses and take a local man’s daughter captive as they ride away to escape justice. Jim, with the help of a few local men, shortly follows them through various gorges and mountains, all in a single-minded quest to eliminate the men he believes have caused him so much pain. Visually, Henry King’s revenge-riddled film is a marvel containing gorges soaked in gold and dust that juxtapose with images of Jim relentlessly and violently pursuing the outlaws. Also, the scenes at night bathed in blue hues as we watch a man get in touch with his darker impulses and wrestle with his morality. 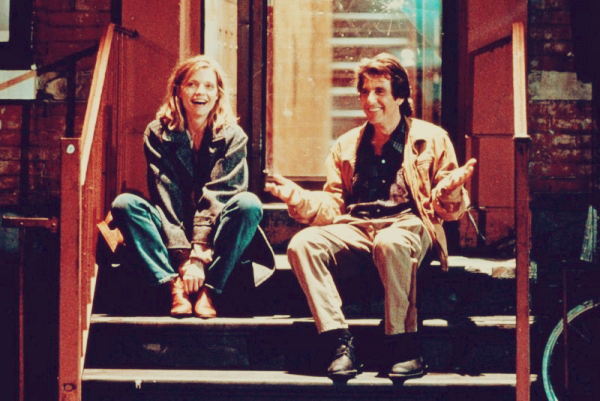 The score is adventurous and contributes to the danger of the journey ahead for the characters, especially Jim. 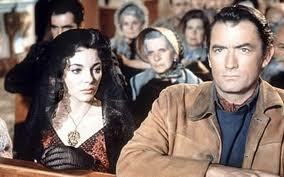 Gregory Peck turns in a powerful performance of bitterness, vengeance and determination that pushes him to the brink of madness. As we watch him hunt down the men, we are left to wonder whether they have really committed the crime he accuses them of. Peck embodies these conflicted emotions excellently and conveys a deep pain within his character as his relentless quest continues to its end and his morals are called into question. Joan Collins stars as his former love interest who still carries a torch for him, but her part is underwritten and she is miscast. Despite this, she does manage some effective moments, mainly when she gets Peck’s character to confront his loss of faith after his wife’s death. Out of the gang of outlaws, Stephen Boyd makes the biggest impression as the de facto leader Bill. He possesses a sinister smile and unnerving demeanor that come into play when he toys with the emotions of the girl they have taken captive. The many shoot outs and chases on horseback are entertaining, but what gives the film a uniqueness is the dedication to the characters as they emotionally unravel through revenge and remorse. 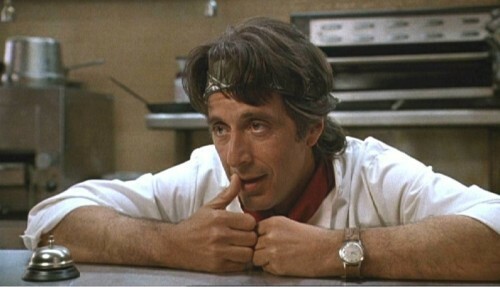 In my opinion, The Bravados is an underrated film that deserves more notice. It may not be up there with the best westerns, but it certainly burns itself deep into the mind after viewing it. 1960's, Bonnie Bedelia, Bruce Dern, Dance Marathon, Drama, Gig Young, Great Depression, Jane Fonda, Michael Sarrazin, Red Buttons, Susannah York, Sydney Pollack, They Shoot Horses Don't They? They Shoot Horses, Don’t They? is a cathartic, emotionally intense and allegorical look at the Great Depression seen through the weary eyes of those entered into a dance marathon. Desperation, broken dreams and manipulation all feature heavily in the well-acted story of the extreme lengths people will go to in times of economic decline. In 1932, Richard Syverton is a drifter who one day stumbles upon a dance marathon, the prize for the winner being $1500 . 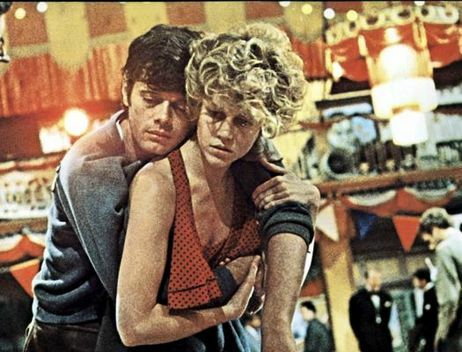 He is then recruited by the manipulative Master of ceremonies Rocky to partner a cynical and discontented young woman named Gloria, when her partner falls ill. Although they barely know each other, they enter for the money that is much-needed at this time in their lives. 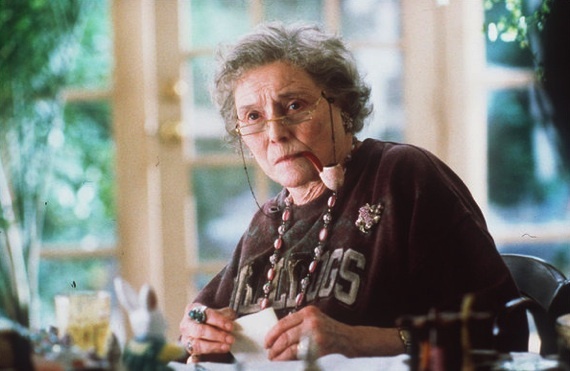 Amongst the other contestants are Harry Kline, an old sailor who refuses to give up; Alice LeBlanc, a deluded English actress with dreams of making it big, and Ruby, a pregnant woman and her husband James. As the contents starts, we witness how the oily Rocky exploits the insecurities of the couple’s for the audience’s enjoyment and how he puts them through a series of humiliating tasks. This begins to take its toll on the contestants as nerves begin to fray, anger begins to boil and pain becomes all to real. 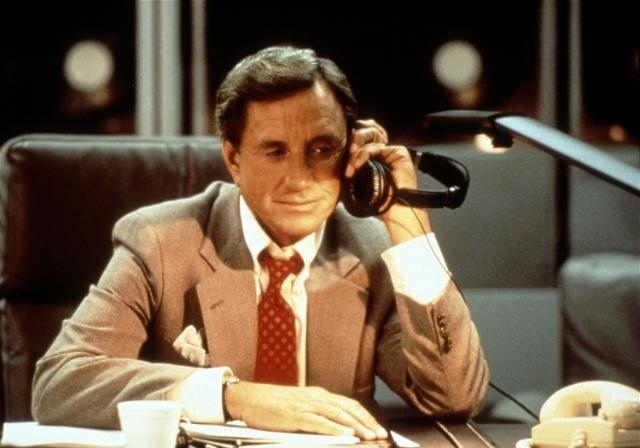 The film in part resembles what reality TV might have been like in the 30’s and the manipulative machinations that go on behind the scenes for the audience’s pleasure. It also functions as a haunting study of desperation within everyone and how it is brought to light through circumstance. The use of lighting particularly shadows and hues of sepia conjure up a bleak picture of desperate people just trying to get along in this time of hardship. The various uses of old music further capture a nation’s melancholy but still a fleeting bit of hope; most apparent when the pregnant Ruby sings “The best things in life are free” in an emotion choked voice still clinging to her belief that something good will happen. Sydney Pollack has created an immensely believable portrait of the Great Depression and he should be praised for his kinetic direction during the exhausting derby that the contestants are put through. We are placed within thi s melee of people trying to stay on their aching feet as they race aimlessly round a course. By the end, your emotions are exhausted from the shock of seeing it. The cast assembled for the picture excellently embody the emotions of these people just needing to win. Jane Fonda is the biggest revelation as Gloria, essaying a multi-layered performance of desperation, cynicism and melancholy. Her scenes with Michael Sarrazin are outstanding, as we witness two strangers closely forming a deep relationship against a backdrop of pain. Sarrazin exudes so much emotion through his searching eyes it is unbelievable. The supporting cast is equally as strong. 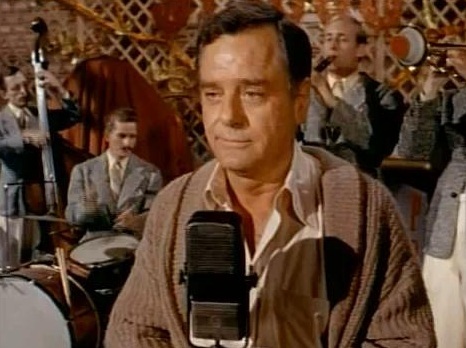 Gig Young stars in an unforgettable Oscar-winning portrayal of greed and mendacity, his shouts of Yowza becoming menacing and taking on sinister tones as the contestants continue to dance for his enjoyment. Susannah York is heartbreaking as the deluded Alice, who for all her glitzy gowns and make-up can’t escape the desperation of her life. Her breakdown in the shower is so intense and shocking, as an audience all we can do is witness it as her blue eyes become haunted. Red Buttons, Bonnie Bedelia and Bruce Dern further add to the dramatic impact of the film. All in all, They Shoot Horses, Don’t They? is not the most comfortable film to watch but is certainly a devastating evocation of anguish and the need to survive. If it’s dramatic emotional viewing that you require, try this film from Sydney Pollack. Inspired by true events, Female Agents tells of five women’s attempts to stop secrets being leaked to the Nazi’s during Wo rld War II regarding the Normandy Landing. Thrilling, compelling and excellently acted, it is a tribute to brave women during the war and the dangerous tasks taken to ensure the safety of millions. The year is 1944. Louise Desfontaines is a member of the French Resistance who flees to London after her husband is killed. She is then recruited by SOE( Special Operations Executive), an organisation created by Churchill to conduct spying and dangerous missions in occupied Europe. Louise is tasked with the rescue of a British geologist who has been captured by the Germans and holds valuable information regarding the Invasion of Normandy. 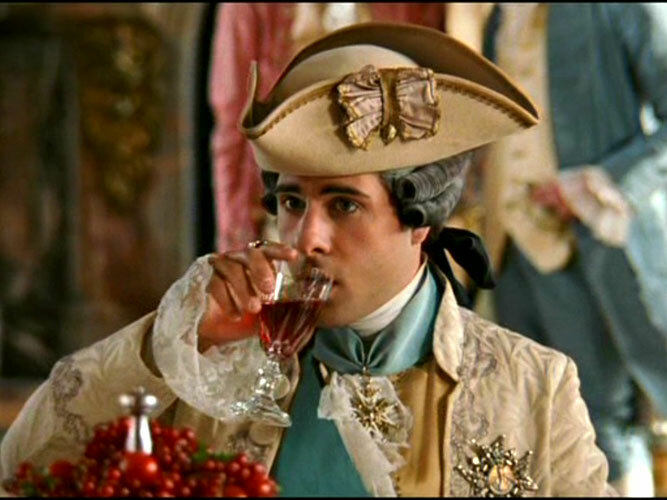 She is told to form a group of women to aid her in the dangerous mission along with her brother Pierre. The women are chosen for specific qualities and reasons. They are Suzy, a seductive cabaret dancer who was formally engaged to a Nazi colonel, Gaëlle, a devoutly religious girl who is skilled with explosives, Jeanne, a hard-edged prostitute adept with weapons and Maria, a Jewish woman looking for revenge after her family was taken to a concentration camp. They arrive in France and quickly go about rescuing the man from enemy clutches in a French hospital. The women seem to have succeeded until they are accidentally revealed to a prominent colonel in the SS, Karl Heindrich who happens to be Suzy’s former lover. From then on it a race against time to not only save the geologist but also their lives and carefully planning to kill the colonel. Prepare to be enthralled by the dangerous mission undertaken and the lengths the women go to in order to survive and see it through. The first thing that catches the eye is the believability of the settings and costumes, that really take you into the heart of war-time intrigue. Music plays a key part in the film and the score adds a poignant and epic sweep as the narrative unravels at a break neck speed. Credit must go to the screenplay for presenting a war movie from a female perspective, carefully showing us the dangers these women undertook to make sure of successful missions that could cost them their lives. Although the film goes at a fast, drivin g speed, the film still makes time for us to engage with the five women and watch as they risk their lives for their cause. The film although packed with adventure does not shy away from the brutalities of war and intrigue, clearly shown when members of the group are tortured for information by having their heads dunked underwater and hit repeatedly. Above all, it is the acting, mainly from the quintet of women that keeps the story running smoothly. Heading the cast is Sophie Marceau as Louise, she carefully embodies the stoic responsibility as leader of the group but we sense a pain underneath her outwardly cold facade. 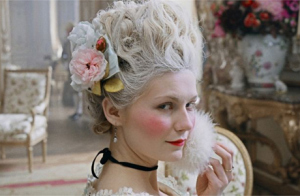 Julie Depardieu creates a convincing character in Jeanne, the prostitute unafraid of staring death in the face. Marie Gillain exudes glamour and poignancy as Suzy, who is initially reluctant about the mission because she knows it will bring her back into cont act with her former lover. Déborah François is luminous as the bomb expert who still clings to religion to get her through the dangerous mission. And Maya Sansa emits a quiet rage as the vengeful Maria, who by her own admission will relish the chance to kill those who murdered her family. 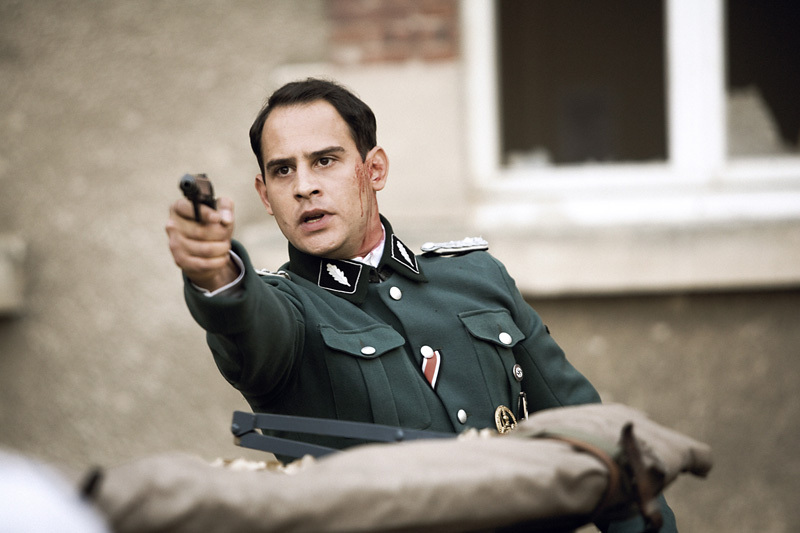 Out of the males in the cast, Moritz Bleibtreu is the most convincing, excellently capturing the outward charisma of his SS colonel character but then showing the brutal violence that lurks beneath it. 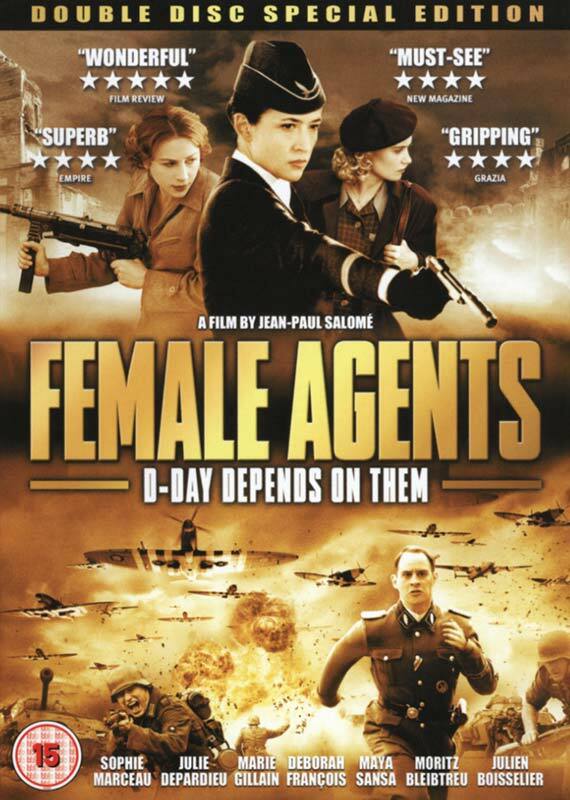 If it’s a World War II thriller with a difference and a definite and loving recreation of time, then Female Agents is the advisable film for you. The luminous female cast alone is reason to see this inventive thriller inspired by true events. An eerie, atmospheric and intelligent urban horror, Candyman drives to the heart of the meaning of fear and the haunting spectre of urban legends on the mind. Boasting bizarre yet stunning visuals, first-rate performances and a ghostly score by Philip Glass, Candyman is scary and memorable viewing for sure. Helen Lyle is a Chicago graduate student who is completing a thesis on the nature of urban legends. She is married to a professor who is slimy and seems to have an eye on another girl. While conducting research with best friend Bernadette, she hears of Candyman. The urban legend says that he will appear behind you in a mirror if you say his name five times, then he will cut you open with the hook he has for a right hand. Although curious about this legend, she is still skeptical about whether it is really true. As she continues to look into the story of Candyman, she discovers he was the artistic son of a slave who fell in love with a white woman. When the girl’s father found out that his daughter was with child, he summoned a lynch mob to attack him. He had his right hand cut off and the mob covered him in honey from an apiary, causing bees to sting him to death. The mob burned him on a pyre and his ashes were scattered over the gang-ridden Cabrini-Green housing project. Helen and Bernadette investigate the project and find the people certainly believe in the title character, especially after a girl was murdered in one of the apartments. Still skeptical about it, Helen tries out the theory of calling his name. At first nothing happens, Helen thinks it is just a story used to terrify the residents. Yet when she has her own encounter with Candyman, her world begins to crumble as she realises she has conjured something that she can’t take back and will spell out violent and brutal consequences for her. Credit must go to Bernard Rose, who directs this imaginative and compelling film with daring visual flair and shocks a plenty. 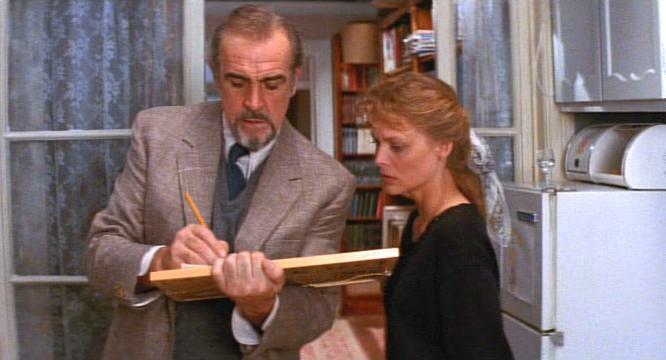 The screenplay excellently captures the duplicitous nature of urban legends. We’ve all been told stories about alleged monst ers under the bed or the bogeyman, but with Candyman they are fashioned into a mature and adult tale that focuses on the fear surrounding them. We’ve all doubted the existence of such things, but are we being too scared to actually believe the power of urban legends? The score by Philip Glass is a haunting and sinister listen, mainly usually mournful chorus voices and synthesizers to add to the already creepy atmosphere that becomes even more scary after Candyman’s arrival. Virginia Madsen is emotionally effective and haunting as Helen, who although intelligent and resilient becomes increasingly confused as she realises the extent of her careless actions. Candyman only exists because of her, without her the story wouldn’t flow. She is the driving force within the narrative as it unravels. Tony Todd as the eponymous spirit, adds menacing and strangely romantic qualities to the vengeful hook-handed monster, perfectly utilizing his deep voice and height to scare the unwitting Helen and the audience. This is most apparent in the spine-chilling meeting between the two in a parking lot. He emerges calling her name in a deep voice and speaks of making her his victim to prove he exists, in a perversely romantic way. Helen is hypnotised by his presence, captured in luminous close-up as murals of the spectre flash before her eyes. 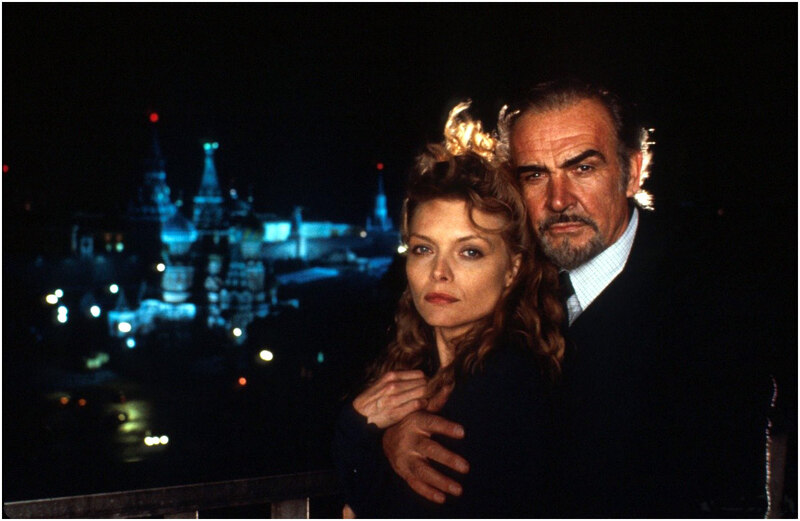 There is an almost gothic romanticism apparent in the relationship between the two that is reminiscent of Dracula, he’s out for revenge and sees her as the victim of choice. She is entranced and later horrified as she is implicated in suspicious events because of him. The film taps into the share cultural fear of the unknown presence that suddenly takes hold. 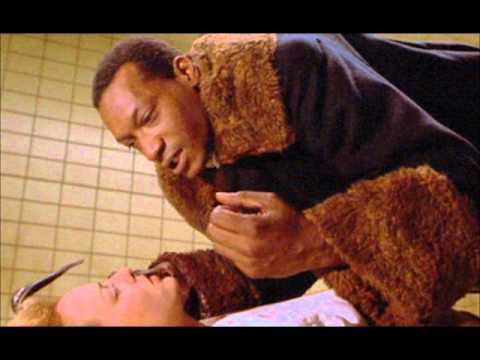 The gore in Candyman is shocking, but never gratuitous as we know why Candyman does it and his tragic back story. Candyman itself is a sinister film, with added chills derived by the visuals. 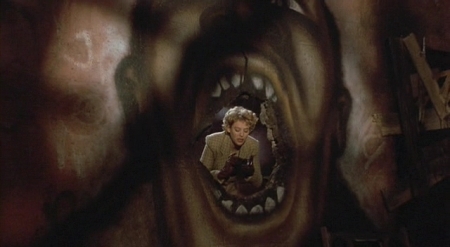 Murals and swarms of bees feature heavily and are excellently edited into scenes in which Helen encounters Candyman. 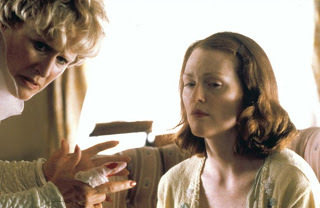 We understand the legend at the same time as Helen, showing that the screenplay has revealed subtle insights that at first appear trivial and then take on a shocking new meaning. If it’s a shocking but never dumbed down story of palpable fear, then Candyman is right up your street. Also, you may think twice about saying his name five times to a mirror after watching it.